Anyone who knows me very well knows that I need to avoid many common food items because they make me very sick. It is not a casual “I think I’ll stop eating snails” kind of thing. Perhaps the hardest for me has been corn. Sure I like the taste of corn bread, corn on the cob, and creamed corn. Giving it up isn’t without some severe nostalgia; however, the real difficulty lies in the pervasiveness of corn in the American diet. Because of my relative success, many people have asked me for the guildelines I follow in eliminating corn from my diet. Beward – purging your diet of corn is not for the lazy or faint of heart. It takes an abundance of dedication, research, and perseverence. I believe it is worth it. In response to the questions, I have prepared for you my short list of corn avoidance rules. While written with a bit of humor to counterbalance the bitterness of the task, I am also being serious about what can be involved. Do not eat processed foods – not ever. If you feel you absolutely must eat something that comes in a package, don’t eat it if it contains an ingredient you cannot read or do now know what it is. Make everything from scratch so that you know what is in it. Even your common spice containers may be suspect. If you don’t have to peel it, chop it, or core it – eat with great caution. Put manifacturer’s phone numbers on speed dial. Plan to call the company before using almost anything in a box, can, or frozen food section. Remember, corn does not have to be labeled. The fact that it isn’t listed as an allergen on the package doesn’t mean it isn’t there. Never assume you know what is in the product you are ready to eat. Even powdered sugar has corn starch. If it is something that could stick together, but isn’t sticking, it probably has corn starch to prevent the sticking. If it comes in a pill/tablet – assume it has corn in it until proven otherwise. It should be listed on all medication package inserts and your pharmacist should be able to check it out as well. Unfortunately all of the ingredients in your medications don’t simply say corn. They will be called something else most of the time. Only buy supplements or vitamins that specifically state NO CORN. “No corn added” is not sufficient and is a real give away that there is probably corn. If it is supposed to be chewable it has to be sweetened with something. 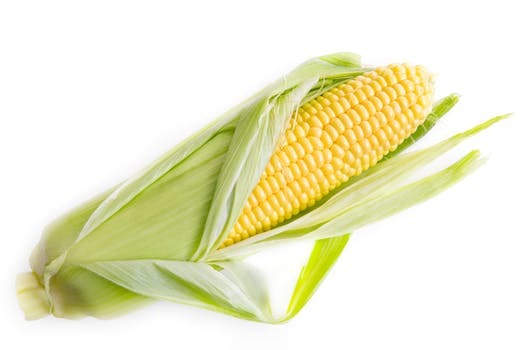 That something is often corn. Bottled spiced and herbs, condiments, sauces, and gravy are all suspect. Call the company or make your own. Deli meats almost all contain corn. Roast your own turkey, beef, or chicken at home and slice it thin. Think like a pioneer woman. Convenience does not exist. You need to pre-plan everything. If you do the planning, it can almost feel like convenience on some days. Buy a very nice insulated cooler/lunchbox and carry most of your meals with you. This is a place to make a good investment. If you happen to go somewhere that is corn safe, count your blessings and take your food back home for another day. Always carry corn-free snacks in your car, purse, briefcase, or pocket. Don’t be caught unprepared. If you are going to eat out, skip the condiments that are on the table. Tell your server that you would like to speak to the kitchen manager because you cannot eat corn. I have found most places to be very knowledgable and willing to feed me safetly. I carry a laminated card with me that lists my food allergies so that the kitchen can have it while preparing my food. For people with serious corn allergy it gets even worse from here since many other things are also made from corn products, including plastic bottles we drink from. I have not become sick from a plastic bottle yet, but do try to stay away from them. I know it sounds like a lot, but my philosophy is that it is a small price to pay to keep me feeling healthy.